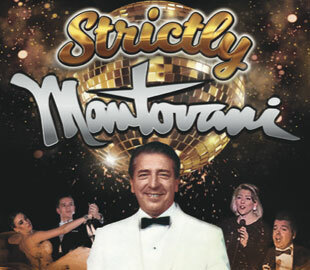 Experience the unique Mantovani cascading strings in dancing mode. See and hear the worlds most famous 48 piece orchestra playing your favourite ballroom dance rhythms with the spectacular Mantovani dancers. From the grace and beauty of the waltz to the excitement of the tango and latin sophistication. This is a brand new Mantovani show full of all his golden hits performed by the cream of British musicians featuring our special guest singers Rossano and Jemma with virtuoso pianist Sam Hanson. Don’t miss this spectacular one night musical extravaganza.